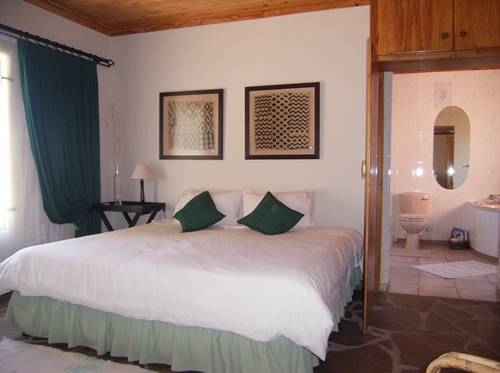 Situated in the guest house quarters, this very spacious room has its own en-suite bathroom with shower, basin, toilet and corner bathe - the ideal honeymoon suite. 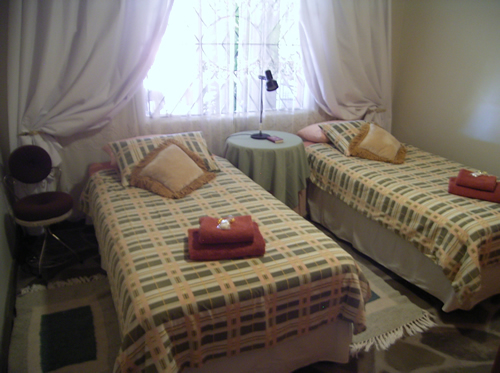 This 2 single bed containing room shares a toilet & bathroom. 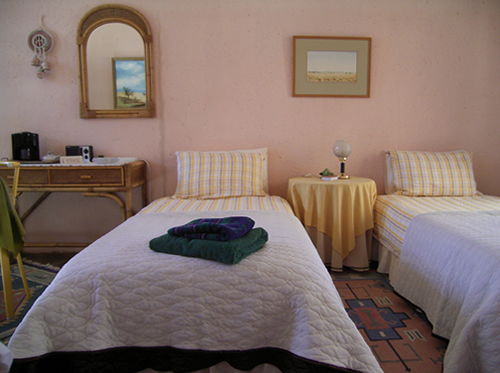 Situated in the guest house quarters, this room has a double bed & shares a seperate toilet & bathroom with 2 other rooms. 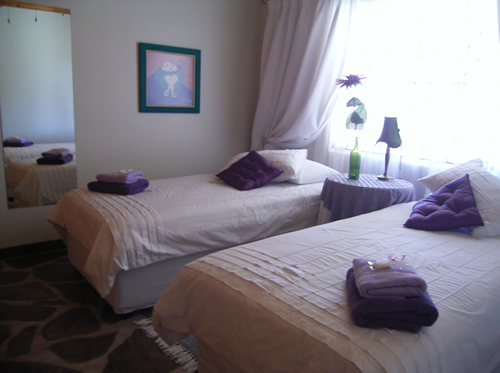 Cosy and comfortable - this room holds two single beds & cupboards - sharing bathroom & toilet facilities. 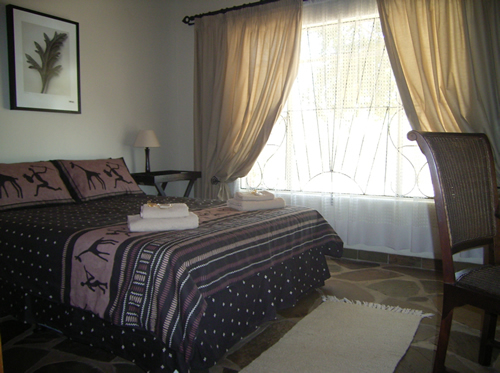 This room is situated in the guest house quarters and holds 1 queen size bed, 1 double deck bed (sleeping two), shower, basin etc. 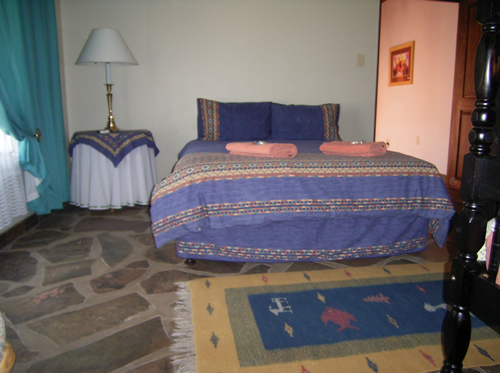 This room holds 3 single beds, shower, basin, toilet as well as a table with chairs for reading/working. A fully equiped self-catering flat, perfect for a family of 5, is also available with DSTV & braai area.